Florida State’s RaiQuan Gray threw a three-point shot up to the heavens after a whistle was blown during Tuesday night’s contest with Clemson. The ball eventually fell through the basket and even though that shot didn’t count, that moment was indicative for what the entire night was like for the Tigers. The Seminoles made ten three-pointers en route to a 77-68 win at home over Clemson. Florida State outscored the Tigers 42-27 in the second half as seven different Seminoles hit a shot from deep throughout the game. The Seminoles came in only shooting 25-percent in conference play from behind the arc. For most of the contest, Florida State stayed around 50-percent in that category while Clemson’s lack of three-point defense continued to show. The Tigers are last in the ACC in three-point defense. Florida State was led by Mfiondu Kabengele, who had 12 of his 17 points in the second half, and David Nichols’ 16 points. Both players were 6-of-10 from the floor, but Nichols made four of his five three-point attempts. Both players also came off of Florida State’s bench, which outscored Clemson’s bench 45-11. Clemson’s offense in the first half was clinical. The Tigers were moving the ball well and looked poised to build off the momentum after a nice home win against Georiga Tech. With Marcquise Reed taking a bit to get going, the scoring fell on the shoulders of Aamir Simms. Simms had 15 of his game-high 18 points in the first half, including a tip-in at the buzzer which gave the Tigers a 41-35 lead at the break. But the second half is where things fell apart quickly for Clemson (11-7, 1-4). Once the Tigers were up 55-50, the Seminoles went on a 14-0 run to put them in the lead for good. 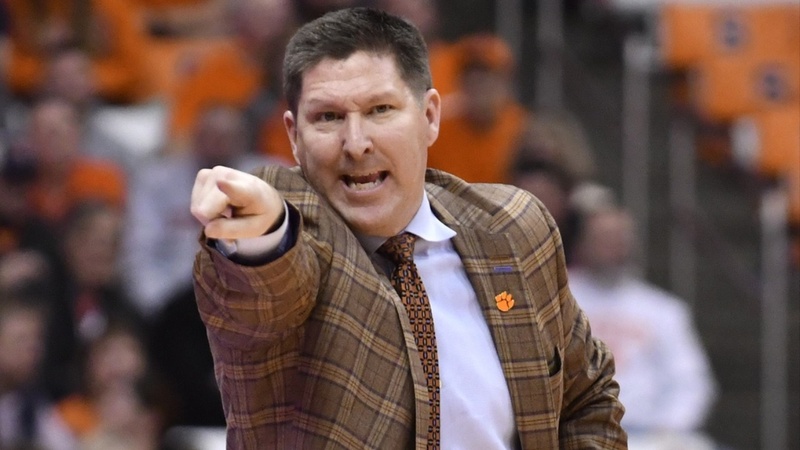 During that stretch, Clemson began to wear down on both ends of the floor as the Tigers turned the ball over four times in a five-minute span. The offense eventually turned around behind nine points from Reed and Elijah Thomas’ 17 points, 11 boards performance. Clemson cut the game to within three points at the 4:05 mark, but Florida State answered by hitting four of its last five shots to close Clemson out. Brownell contributed some of the defense inefficiencies to Clemson’s best defender, David Skara, only being able to play 12 minutes due to foul trouble. The other factor was that the Seminoles flat-out wore Clemson down, which led to frustrating offensive possessions and a lack of energy on the defensive end at crucial moments. In the second half, Clemson turned the ball over seven times, made 10 of 26 shots, and only made one of its nine attempted three-pointers. When that happens, and the other team goes on a big run, it is very tough to overcome especially on the road in Tallahassee. The Tigers will return to action at No. 21 North Carolina State on Saturday.